Donald Trump announced — read: tweeted — yesterday that he will give his much-anticipated speech about illegal immigration on Wednesday in Arizona. Trump had said that he would give the same speech last week in Colorado but postponed it. In the interim his policy stances on immigration have shifted significantly, frustrating people on both sides of the aisle. Early in the primary process, Trump made his hardline stance on immigration the foundation of his campaign. His suggested policies — like mass deportations, banning all Muslims from entering the country, building a wall along the Mexican border, and employing a “deportation force” — left many aghast but proved to be hugely effective in galvanizing the mostly white, non-college-educated voters that swept him into the presidential race. 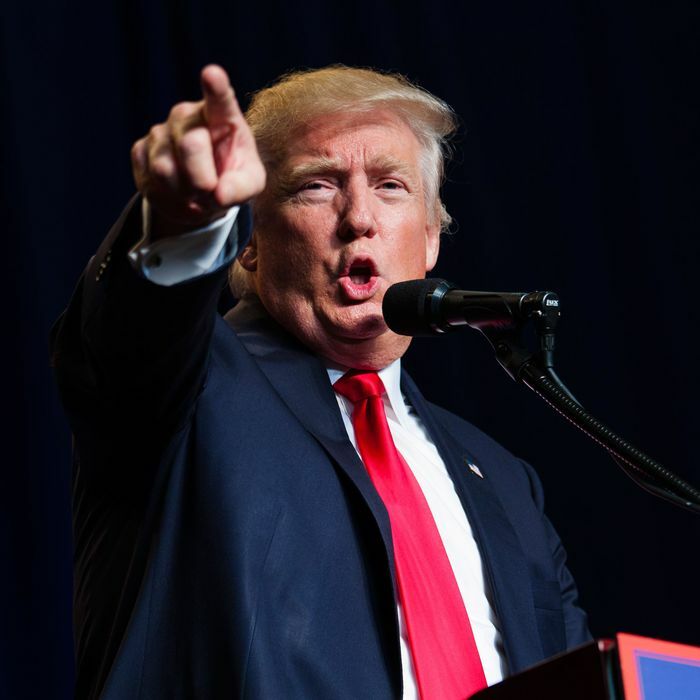 Now, as Hillary Clinton’s lead becomes increasingly commanding, Trump is toying publicly with softening his stance on immigration. Mixed messages like the ones he gave on Saturday in a speech in Iowa, in which he promised that “these international gangs and cartels will be a thing of the past … their reign of terror will be over,” while also dropping all talk of mass deportation in favor of a slightly more benign tracking system for people who overstay their visas have become commonplace. And the apparent confusion has made public a split within the Trump campaign over precisely how far towards the center he should drift. All eyes will be on Arizona Wednesday to see if Trump can bring some clarity to his stance on immigration without angering his core supporters. Ann Coulter will be watching.